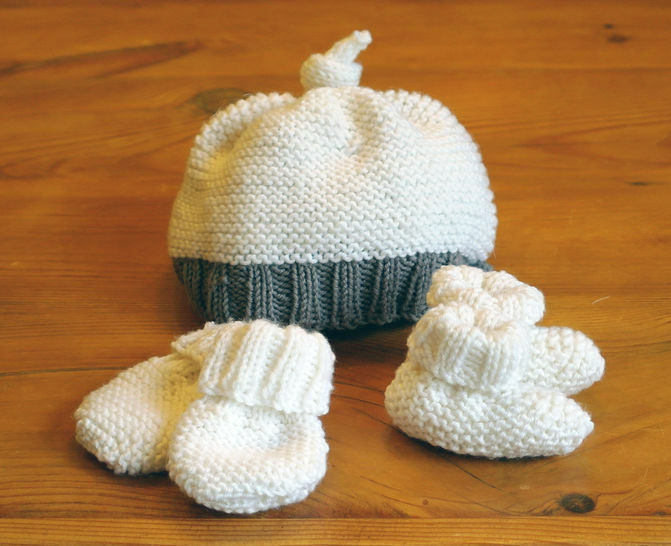 A delightful and easy knitting pattern for a cosy baby hat, mittens and booties set. Ideal for a beginner knitter with basic skills or for someone wanting to knit a very quick baby gift for a birthday or baby shower. Also perfect for using up left-over yarn from other projects. This pattern is very easy to read and includes colour illustrations.